According to data of the first quarter of this year, National Debt of Kazakhstan went up to 165.5 billion US dollars. In three months, debt increased by 1.06 per cent ($1,74 billion). Kazakh Government has to pay back around $19,58 billion to the lender until the end of this year. $7,31 billion of it being held for short time period and $12,27 billion for a long term. 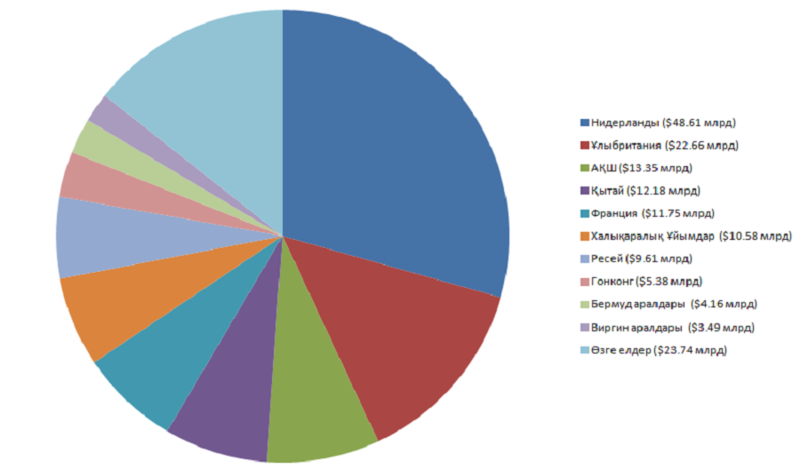 Which countries are the lenders for Kazakhstan? 29,37 per cent ($48,61 billion) of national debt Kazakhstan owes to Netherlands. Next on the list is Great Britain with $22,66 billion. And the US government should take back $13,35 billion until December 2017. Half of our debt is about to go to these three countries. 22,05 per cent ($36,49 billion) of all debt is going to be paid by state government. Another stake of debt is corporate. According to official data, $12,21 billion of government debt will be paid by regional state policies. And 1,12 billion stake goes to National Bank's responsibility. The other part, which covers 23,16 billion US dollars will be paid by state owned national companies. Second level banks of Kazakhstan cut their corporate debts in the amount of $0,5 billion the first quarter of this year. And another stake of sector's debt composes 4,03 per cent ($6,66 billion) of the national debt.